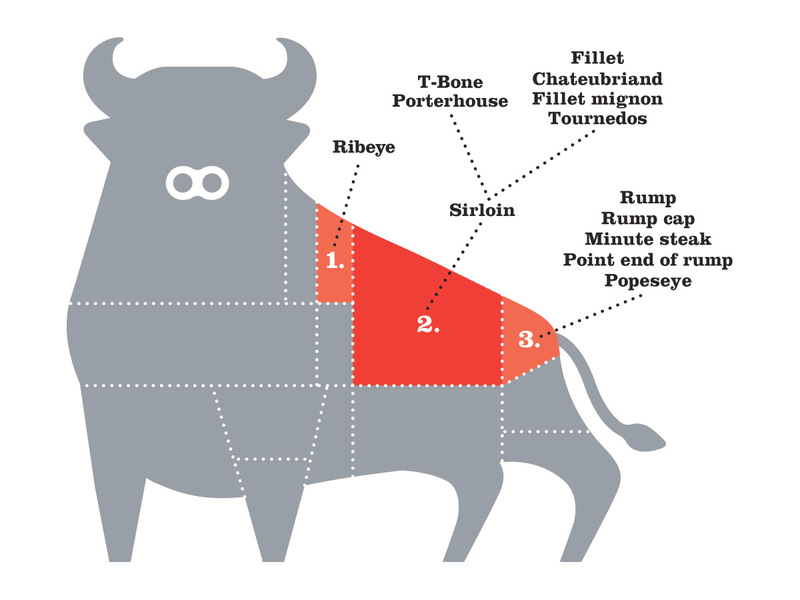 A visit to Smithfields for a steak lover is like a visit to Wimbledon for a Tennis fan. 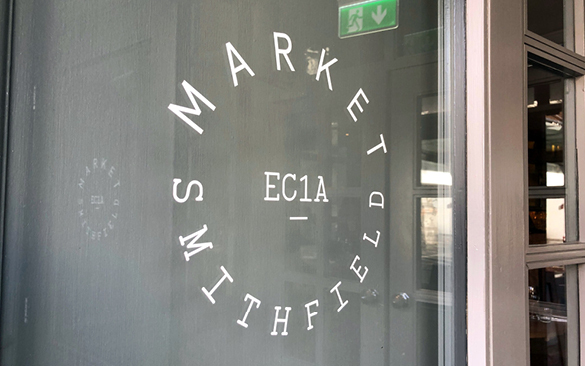 This is the home of meat, with the market being established here for over 800 years and the largest of its kind in Europe, this is the place to get great meat! 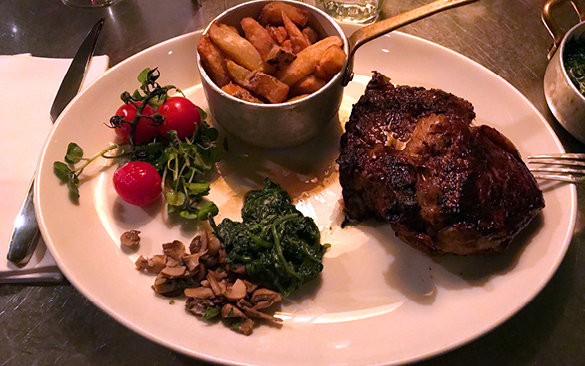 Blackhouse – The Grill On The Market is one of a few decent restaurants that border the market, capitalising on the pedigree of the area. 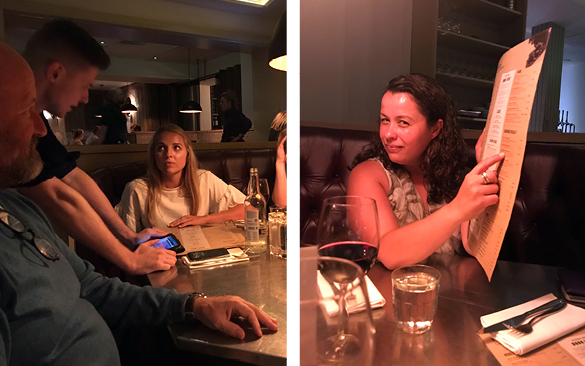 It’s a great location with a decent sized bar for pre dinner drinks, we landed a booth which easily accommodated 6 of us. There was a good selection of draft beers on tap and the usual cocktails on offer, although nothing stand out. 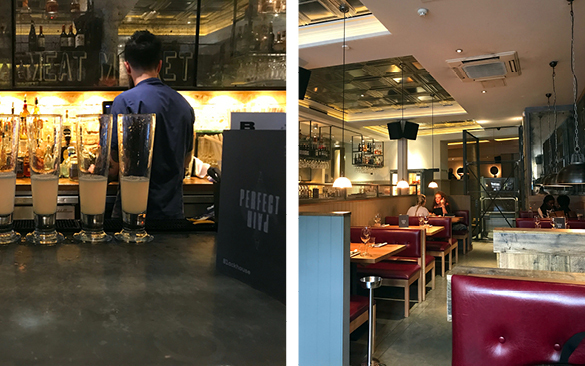 The restaurant doesn’t have the grandiose look that many of the London steak houses go for, opting for a much more industrial feel with raw wooden panelling, concrete floors and steel cages (presumably to keep the wine safe). 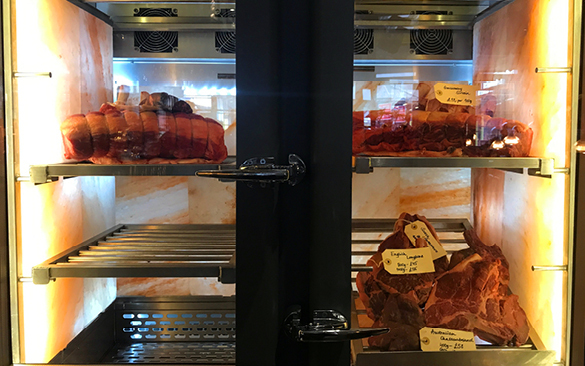 There is a great ‘Himalayan rock salt maturation chamber’ displaying the range of cuts, always a winner to see what’s on offer. The restaurant itself is slightly underwhelming and the decor felt a little tired. It’s very dark inside and lacks some of the classiness that many of its competitors display. 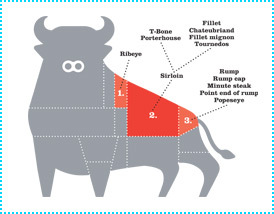 Needless to say we were not here for the interior, as always the meat is master. Our host introduced himself and began the process of explaining the cuts, with the help of a meat board (always a show stopper). 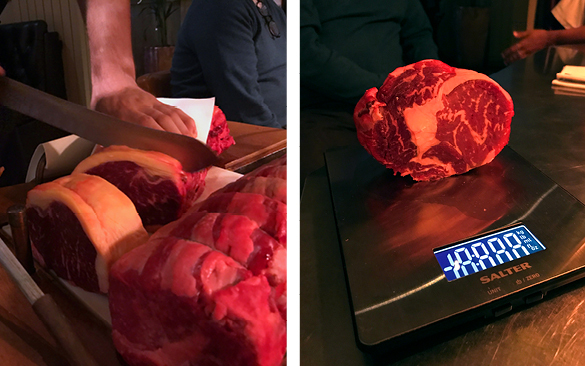 Once the decisions on the meat were made we were then entertained with the cut and weigh in being performed at the table! This was a first for us at MM and was a great aside from the meal, this may cause some one-upmanship so beware that your eyes don’t out do your appetite. It takes some concentration when the plates arrive to remember what weight and cut it was you each ordered, especially with a larger party. 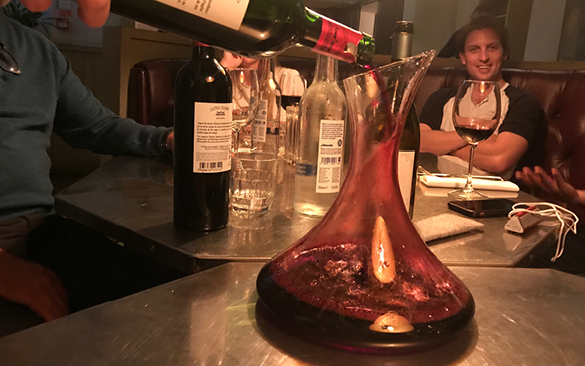 We chose the Chateau de Chambert Malbec from the not too extensive wine list, which was a good choice from the higher end of the list. The sides were the standard fare, with the Garlic and pesto mushrooms and Cauliflower blue cheese dishes as stand outs. We finished with the Sticky toffee pudding and Espresso cheesecake, both being suitably rich, sweet and sticky. 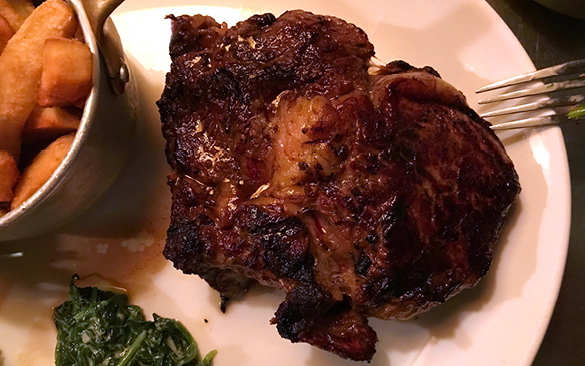 Overall Blackhouse is a great steak restaurant in a historic location, giving it an added sense of gravitas. The meat was excellent and the manner in which it is chosen, cut and served was a great piece of table side showmanship. 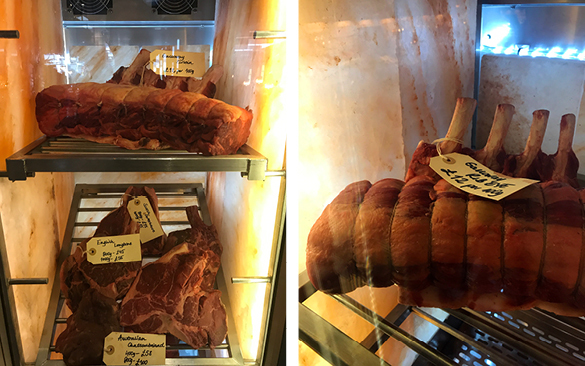 The Himalayan rock salt does give the meat a full bodied flavour without it feeling over salted (which is often a problem at some of the venues we’ve visited).